With hurricane season starting June 1, it’s interesting to note that the United States has now gone 12 years – the longest period on record – without a major hurricane making landfall. But that’s a bit deceiving because if it’s one thing we’ve learned in recent years is that it doesn’t take a major hurricane to cause major damage, says a Texas A&M University severe storms expert. Robert Korty, associate professor in the Department of Atmospheric Sciences at Texas A&M, notes that it’s a combination of pure luck and favorable weather conditions that have prevented a Category 3 storm (winds of at least 111 miles per hour) from striking the U.S. Hurricane Wilma was the last to hit and the Category 3 storm pummeled the Florida and the Southeast on Oct. 24, 2005. On average, the Houston-Galveston area gets hit by a major storm every 15 years. “It’s mainly the luck of the draw,” Korty explains. “We’ve been pretty lucky ever since the mid-2000s, when there were so many storms that made landfall, especially around 2004 to 2005. We’ve had some strong El Niños (warmer than usual waters in the Central Pacific Ocean that tend to influence weather patterns around the world) and it’s true that when those occur, storms are a less likely to form in the Atlantic. 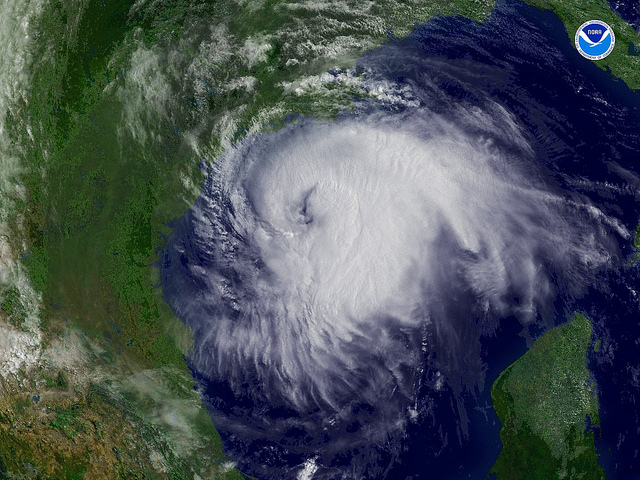 In 2005, much of the Gulf Coast area was devastated by a series of storms that included Dennis, Katrina, Rita and Wilma. Those combined storms killed more than 4,000 people and caused more than $150 billion in damages, and it’s the only year on record when four major hurricanes hit the U.S. But a storm doesn’t have to be major to be deadly. Texans will never forget Hurricane Ike, which killed 74 people in the state, caused $30 billion in damage and ruined the lives of thousands and it was only a Category 2 storm when it hit on Sept. 13 of 2008. Likewise, residents of the East Coast will never forget Superstorm Sandy in 2012 which barely made hurricane status as it formed in the Caribbean and skirted numerous Atlantic states and eventually killed over 230 people in eight countries before causing $75 billion in damage, the second costliest storm in U.S. history behind Katrina. “If you look at the number of hurricanes that form around the world, it’s been pretty close to average over the last 10 years or so,” Korty says. “We’ve had several storms in recent years that have not been especially intense, but they have created a lot of damage, especially coastal flooding in many areas. Hurricane Matthew last year is a good example. It formed as a Category 5 storm in the lower Caribbean and then weakened before it skirted the coast of Georgia, Florida and the Carolinas in 2016 and did all sorts of damage.